A multi-talented performer, Mitchelle “Arijahkno Live Wires” Trott has beeen involved in Bermuda’s arts scene since the tender age of five years-old. 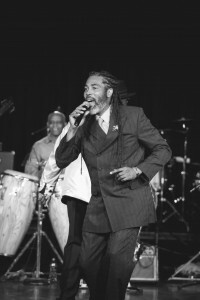 As a Gombey dancer during his primary school years Live Wires received his first taste of public performance while a member of the instrumental band, “Sophisticated Gents” which was directed by the well-known musician, Wendell “Shyne” Hayward. During his tenure with the group, he played the E-flat saxophone. 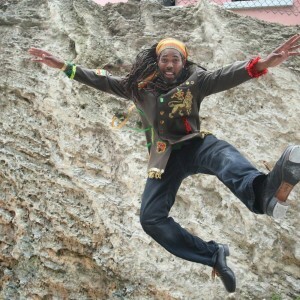 Arijahkno says that coming from a musical family has enabled him to become a performer almost by default. At thirteen years-old, young Live Wires and the Sophisticated Gents had the honor of performing at the prestigious Premier’s Concert, a distinct accomplishment for these young musicians. 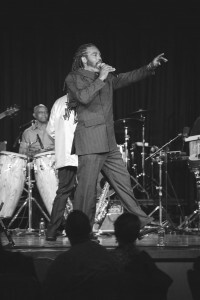 During the next several years, Arijahkno competed in numerous talent shows throughout the Islands of Bermuda. But he says his most memorable moment occurred when he and fellow tap dancer, Abdul Simmons (Rebels in Disguise), won a national dance competition, beating performers from top dance schools in Bermuda. But don’t be fooled, Live Wires is not just a dancer or musician, he is a brilliant singer too! As a youth, he spentt his summers traveling to the United States as a member of the Detroit Cultural Renaissance Center’s Show Choir. Through his former performing arts teacher,Gloria McCully, who is the motherin-law of Stevie Wonder, Live Wires was afforded the opportunity. As an accomplished soccer player and coach, in recent years, Live Wires has performed at the Bermuda Music Festival as well as in Bahamas, Canada , New York , Detroit , and at the Raw Conference in Boston with well-known Bermuda artists, Ninja Cutty and Runksie. And don’t look for Live Wires to slow down anytime soon. He still has a lot to offer Bermuda’s performing arts arena. “There is a necessity to keep the performing arts in Bermuda going. Through the arts, we get to tell a story without being censored. This is vital because the performing arts in a country tells a story of what’s going on in a community,” Arijahkno states.